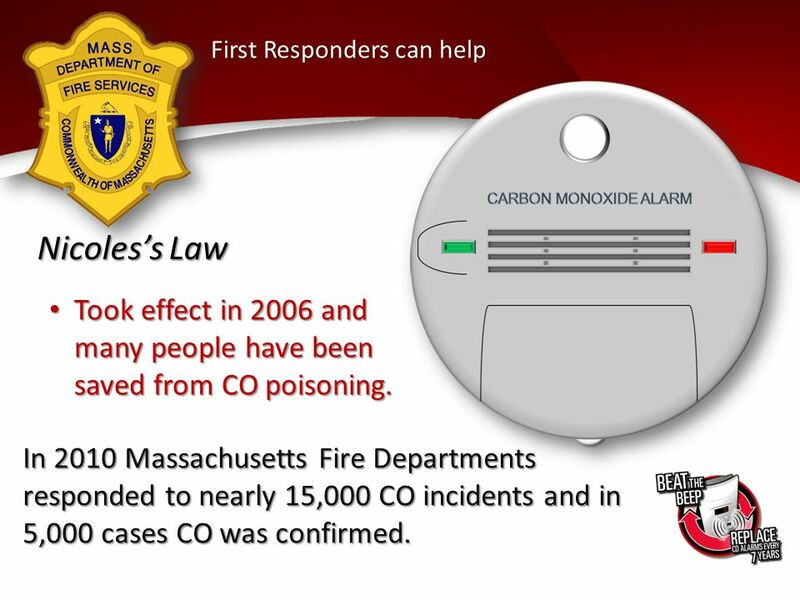 In 2005, Massachusetts passed 'Nicole's Law' which requires that carbon monoxide detectors be installed in all residences that have any source of carbon monoxide such as fossil-fuel burning equipment (like natural gas, propane, oil, wood, coal, and gasoline) or an enclosed or attached garage. 'Nicole's Law' was named after 7-year old Nicole Garofalo, who died in 2005 from carbon monoxide poisoning when the furnace vents in her Plymouth home became blocked by snow and her house filled with deadly amounts of the gas. Carbon Monoxide (CO) is a colorless, odorless, and poisonous gas that results from the incomplete combustion of fossil fuels like petroleum gas, oil, wood, coal, or other fuels. Signs and symptoms of carbon monoxide poisoning can include headache, nausea, dizziness, and lethargy, which are often mistaken for flu symptoms. Elderly residents over the age of 65 have the highest carbon monoxide poisoning death rate, and are at higher risk for undetected exposure. 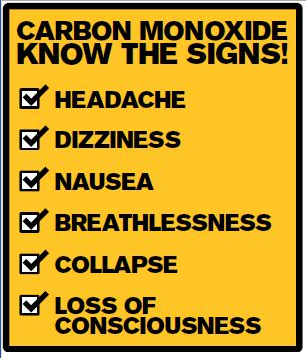 If you suspect Carbon Monoxide poisoning due to symptoms such as headaches, dizziness, vomiting, lethargy, immediately move to a location that has fresh air; do a head count to ensure that all persons are accounted for, and call the Fire Department at 978-281-9760 or call 911. Be sure to check on the elderly and keep an eye on pets if they exhibit any signs of possible Carbon Monoxide Poisoning. Carbon Monoxide Poisoning happens very quickly.